This week’s giveaway is sponsored by Earth Balance! What is your favorite holiday dish or dessert to make with an Earth Balance product? 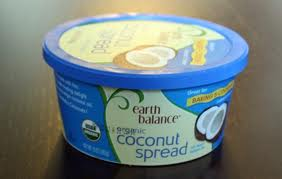 A person from each of our Facebook pages, A Gift of Miles and Smart Allergy~Friendly Education, will win coupons for Earth Balance’s newest products: Coconut Spread and MindfulMayo Dressing & Sandwich Spread! 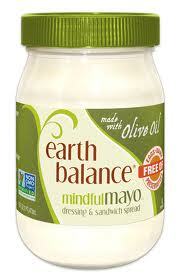 I have heard that both products, particularly the MindfulMayo, is DELISH! 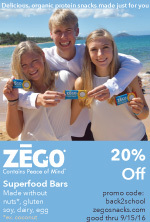 Their products are VEGAN and free of many of the top allergens! Like each of our Facebook pages, and answer the “QUESTION OF THE WEEK” on at least one of our pages! Want to double your chances of winning? Respond on both of our pages!! Holiday & Celebration FUN with Dietary Restrictions. Don’t forget to register, before the price goes up one last time! 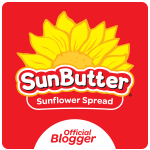 I use Earth balance buttery sticks/tub of butter. It works great and tastes great! Never tried the mayo since I dont have an egg allergy...maybe that would be good too though! Danielle... thanks for posting! We love their sticks for every day use. Great taste! We make holiday treats with earth balance. Pie crusts, cookies, everything delicious! Congratulations Danielle! You are the winner of this week's Earth Balance giveaway. Please drop me a note via email at foodallergymom@gmail.com or via my facebook page with your mailing address so we can get two coupons off to you! Bily... thanks for also taking the time to post! Another giveaway begins on Monday!